Groucho was born in 08/04. 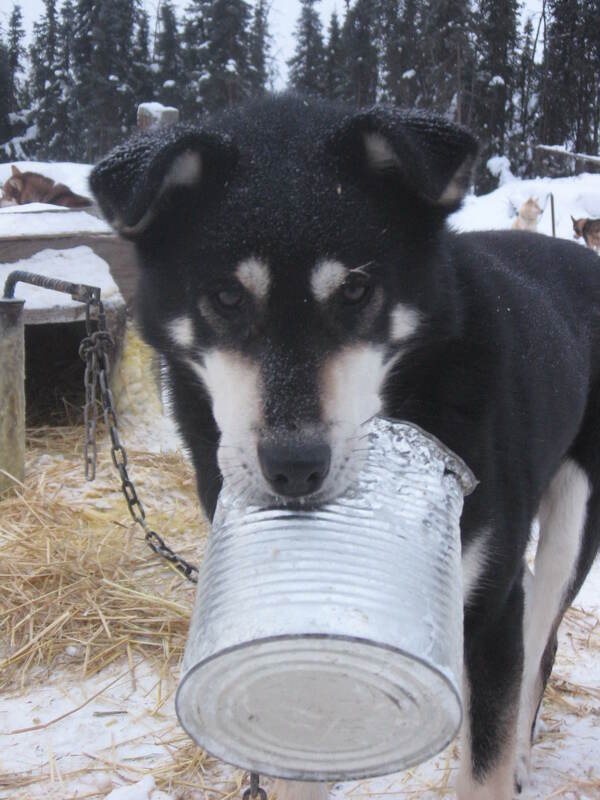 Eight months later he was part of a team that spent 10 days travelling along the east arm of Great Slave Lake….no he didn’t run lead but he has been the steadiest swing dog I have ever had. I have tried him in lead but he made it clear he doesn’t like it there. He understands commands and does his job well. Groucho is a very shy dog and is happiest just working and eating. When he was young he was a hard keeper but has since grown out of that and holds his weight well. He spent the summer on the glacier and so has a few hundred miles on his paws already. Groucho runs best with females.